Awards and Community: The Association Of General Contractors Of America has judged Hickory Construction “Most Outstanding Contractor In The Two Carolinas”. We value all the awards we have ever received, but to be judged first in your field by your peers is a special honor because it comes from our industry leaders who know the construction business and appreciate excellence in it. Pinnacle Award judges called Hickory Construction “innovators in their field” and said the company used partnering and TQM (total quality management) before they came “in vogue”. 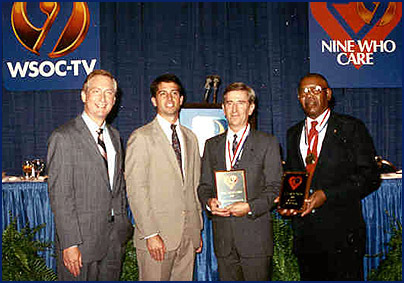 Other awards from the AGC include Certificate for Safety Excellence, Presidential Award for Safety Excellence, Governor’s Award for outstanding volunteer service, Distinguished Public Service Award presented by the Catawba County Board of Commissioners, Our Company made the 1999 FAST 50 – the list of the region’s 50 fastest-growing, privately-held companies by The Business Journal, KPMG, and Kilpatrick Stockton LLP. When tornados ravaged southwestern North Carolina, Hickory Construction Company responded by volunteering crews and equipment to help rebuild the lives of those in need. For the company’s efforts it was awarded the WSOC “Nine Who Care Award”. When the floods of Hurricane Floyd hit eastern North Carolina, Hickory Construction once again responded, donating crews to help with the clean up. 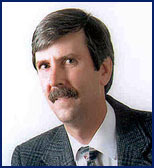 Hickory Construction Vice President Charles W. (Chuck) Moss Jr., Grandson of founder R.V. Moss, worked closely with Federal Flood Insurance Program officials in assessing residential damage. Being a good Corporate and Community Citizen is another way of life at Hickory Construction. With company blessings and encouragement, time is freely given to local, state and national causes. Our volunteer philosophy translates into contributions of time, talent and money — from employees at every level. We serve on boards and in the trenches of such varied organizations as The Chamber of Commerce, Habitat for Humanity, United Arts Fund, Adopt-a-Highway, United Way, Choral Society, Elder plan, Career Days, March of Dimes, Family Guidance Center, Community Theater, Science Center, and The Museum of Art.